Properties in Fanos Beach average 4.8 out of 5 stars. Inaxos studios, viewing Apollo temple. Property 11: Inaxos studios, viewing Apollo temple. KYMA Apartments - Naxos Agios Prokopios 3 - Beautiful sea view! Property 13: KYMA Apartments - Naxos Agios Prokopios 3 - Beautiful sea view! 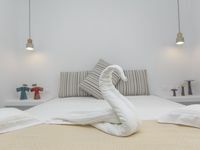 Naxian Breeze, Cycladic Apartment on the beach!!! Property 14: Naxian Breeze, Cycladic Apartment on the beach!!! Property 18: KYMA Apartments - Naxos Agios Prokopios 6 - Amazing sea view! Superior apartment 120 m. from the beach! Property 31: Superior apartment 120 m. from the beach! Naxian Breeze, Newly Apartment just on the beach in Naxian Breeze! Property 33: Naxian Breeze, Newly Apartment just on the beach in Naxian Breeze! Naxos "Asty" walking distance to everything! 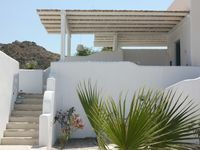 Property 41: Naxos "Asty" walking distance to everything! Property 46: Ground floor, double bed studio, on the beach. This was such a welcoming place to spend a week on Naxos! Nice location, close to beach, stores, and restaurants. So many nice details provided in the apartment, including water, welcome wine, tea, coffee, and condiments. There is also a dishwasher and clothes washer. Dimitri was great. He provided rides to and from the airport, and was available for questions and any help that we needed. Clean towels and house cleaning was provided several times during our stay. I highly recommend this place! We will certainly stay here again next time we come to Naxos! We arrived at Casa Delfino and Maria was there to greet us and even let us in 2 hours early. We were a group of 6 (4 adults, 1 senior and a baby) The unit was very clean and well equipped and worked well for our needs. Shower has great pressure and lots of hot water. The owners Heidi and James even dropped by to check on my Mother who unfortunately broke her arm in downtown Naxos. The house has everything you need to enjoy a relaxing holiday. I would definitely stay at Casa Delfino again. I recommend renting a car with Naxos Summer Cars. They were great and brought the car to the house and we were able to drop it off at the port. 30 euros per day for a Fiat Fabia 5 seater. The house is 25 minutes from the main town so a car is needed if you want to go to the main town a lot. Mikri Vigla beach restaurant is excellent. The bakery down the road and the bigger supermarket are convenient and the owners are great. I recommend driving to the east coast. It's about an hours drive and well worth the view and restaurants. Opa!